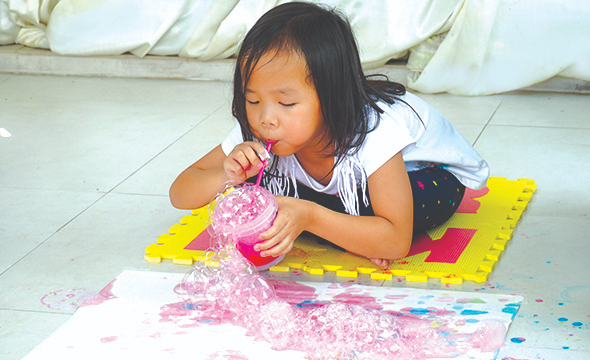 To encourage kids to explore art in different way by using bubbles! This Process Art activity involves many steps for creation to develop children planning, imagination and process thinking skill. Also, to improve children social skill as this activity will be held outdoor as a group activity.